Thank you for choosing N.E.O. All Stars! Please take the time to fill your child's medical information. Your first class is a FREE TRIAL CLASS. We will place your athlete in the appropriate class after attending their first class. I/we the undersigned parent(s) or legal guardian(s) of the registered athlete, do hereby authorize BATR, LLC dba NEO Allstars, and affiliates as agent of the undersigned to consent to any x-ray, examination, anethetic, medical or surgical diagnosis, or treatment and hospital care or service, which is deemed advisable and is to be rendered to said minor, under the general or specific supervision of any physician and surgeon licensed, or the medical staff of a licensed hospital whether such diagnosis or treatment is rendered at the office of said physician or at said hospital. By signing this document, I authorize NEO ALLSTAR and its representatives to consent to medical treatment for my child when I cannot be reached to consent. I also give NEO ALLSTAR permission to administer the necessary emergency care to my child to stabilize and/or improve the current injury or condition that my child may have sustained during activities related to NEO instruction, practices, or performances. No prior determination to life threatening emergency or danger of serious or permanent injury resulting from treatment need be made under this authorization. MEDICAL DISCLAIMER. 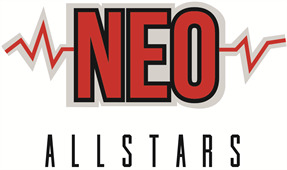 NEO ALLSTAR shall not be responsible for any medical injuries or expenses that may result from Athlete's participation in NEO ALLSTAR activities. I am fully aware that any activity involving motion, height, or athletic activity creates the possibility of serious injury or death, and I further agree to hold NEO ALLSTAR and its staff and officers harmless for any injury or resulting expenses. I release and discharge all rights and claims against NEO ALLSTAR. NEO ALLSTAR therefore assumes no responsibility for any accidents or injuries that may occur. Athletes taking ANY services at NEO will pay an ANNUAL Membership fee of $35 / individual or $50/ family. This fee is charged when you register any service with NEO. Please be aware this fee is 100% non-refundable should you decide to withdraw at any time during the duration of the season. Your membership fee will be billed annually. NEO Team members will pay $125 registration fee to be due upon acceptance of the team membership. By enrolling my child in any class at NEO Allstars, I hereby grant NEO Allstars on behalf of myself and on behalf of my child(ren), permission to use my name, picture, photograph, video, or any other depiction(s) thereof or likeness in all forms of media and in all manners including composite or other representation, for advertising, trade, or and other lawful purpose, and I waive the connection therewith. I also waive any rights to compensation or ownership thereto. I have read this release and I am fully familiar with its contents and competent to make this release. I agree to hold harmless NEO Allstars from any claims for damage, libel, slander, or invasion of privacy. All images, videos, or otherwise taken by NEO ALLSTAR or its agents containing Athlete are the property of NEO ALLSTAR and can be used for promotional purposes. I/we agree that all classes, services, and events are to be paid in full PRIOR to the occurring event. If in the event of non payment, the athlete will not be able to participate the class, event or service. **THIS IS FOR NEO TEAM MEMBERS ONLY** If you are not on an NEO team, this agreement will become void upon completion. ENTIRE AGREEMENT. This Contract contains the entire agreement of the parties, and there are no other promises or conditions in any other agreement, whether oral or written, concerning the subject matter of this Contract. This Contract supersedes any prior written or oral agreements between the parties. AMENDMENT. This Contract may be modified or amended in writing if the writing is signed by the party obligated under the amendment. CONTROLLING LAW. This Contract shall be construed both as to validity and performance in accordance with the laws of the State of Ohio. Any legal action arising out of or in relation to this Contract shall be filed in the Cleveland Municipal Court Cuyahoga Common Pleas court Or where the contract was signed, and Athlete agrees to submit to the personal jurisdiction of any of these courts in the case of such an occurrence. TERMINATION. NEO ALLSTAR may terminate this contract if a monthly payment is more than thirty (30) days past due. THIRD PARTY BENEFICIARIES. Nothing in this Contract, express or implied, is intended to or shall confer upon any other person any right, benefit or remedy of any nature whatsoever under or by reason of this Contract. WAIVER FOR CONSEQUENTIAL DAMAGES. NEO ALLSTAR will not be held responsible for consequential damages that may result from the performance of this Contract. CERTIFICATION OF ACCURACY Each party acknowledges that this Contract for Services has been read and understood prior to signing, that the Team Packet has been read and understood prior to signing, that the individual(s) signing is bound to pay for the services rendered according to the payment schedule set forth in the team packet, and that the terms herein and in the Team Packet are agreed upon as of the date set forth above. **THIS IS FOR NEO FULL SEASON TEAM MEMBERS ONLY** If you are not on a full season team, this agreement will become void upon completion. I/we understand that a $500 quitting fee will be charged to my account to be paid in full by the date of exiting the NEO Allstars Full Season Competition Team program. Once the athlete has accepted the position on a team and quits, the $500 fee will be charged to the account. Athletes on full season teams MAY NOT take classes/private lessons with a competing gym or coach outside of NEO Allstars during the active season (June 1 - April 30). Exceptions will only be made with prior arrangements and communication with NEO Allstars gym owners for specialty clinics and while practicing with school teams. Athletes taking additional classes/lessons with outside coaches without permission may be asked to leave the program and the $500 quitting fee will be assessed.